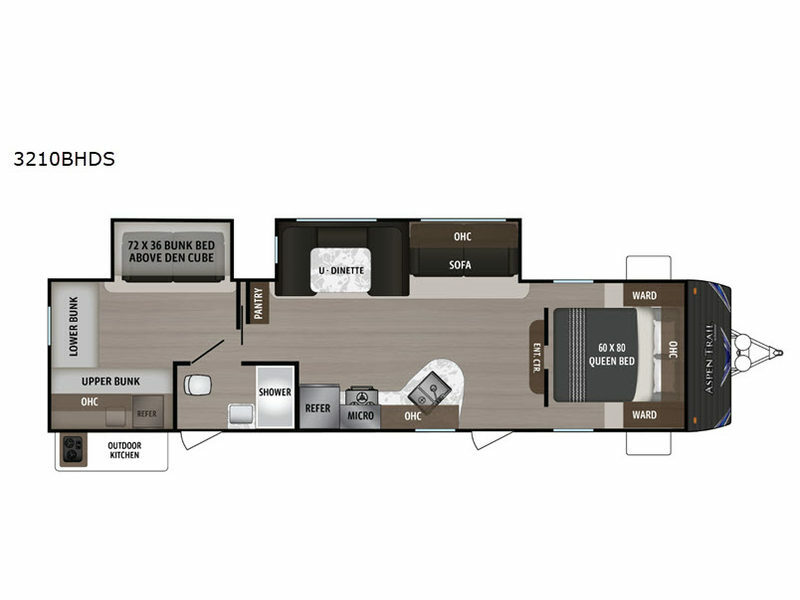 Dutchmen brings you the Aspen Trail travel trailers with trailblazing value. 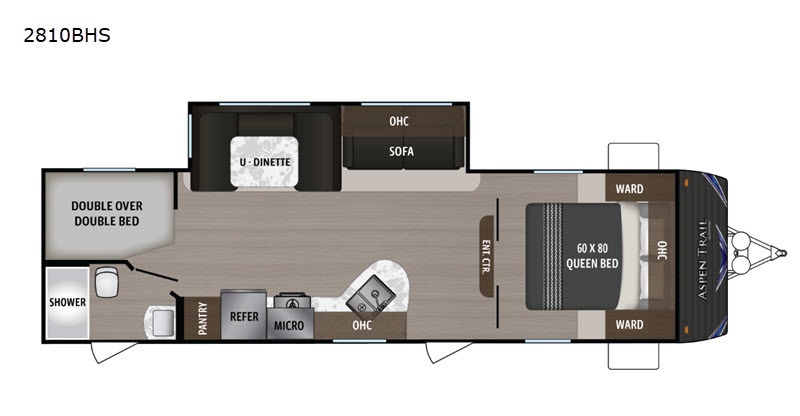 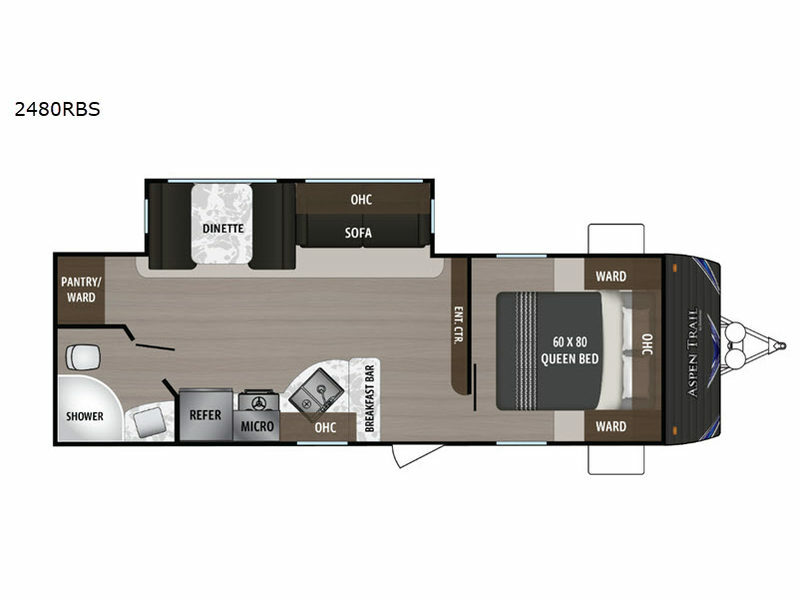 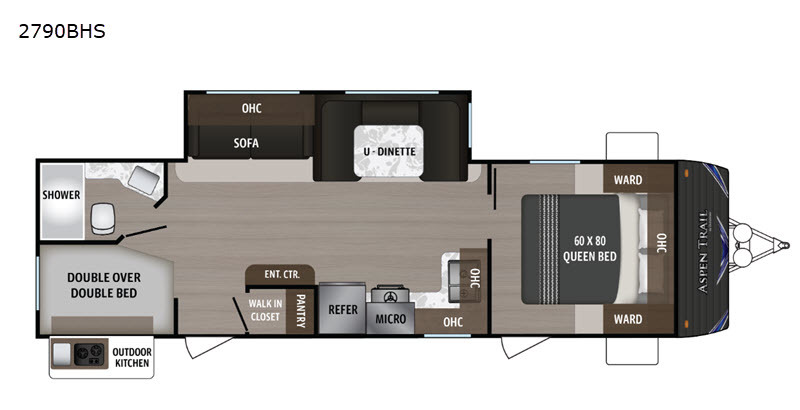 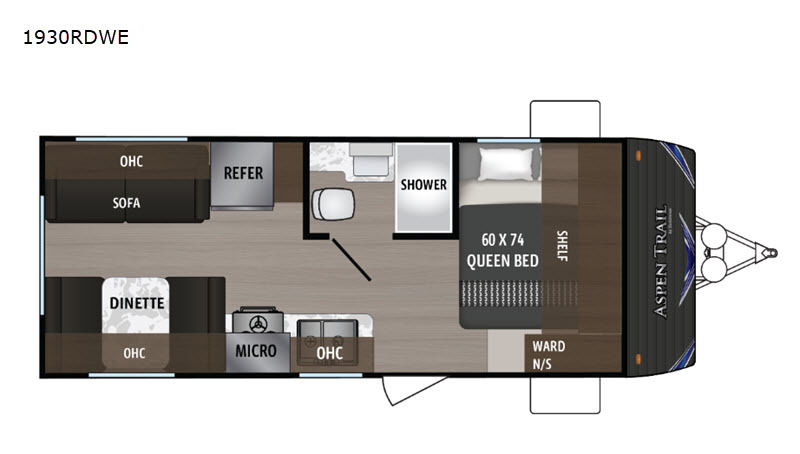 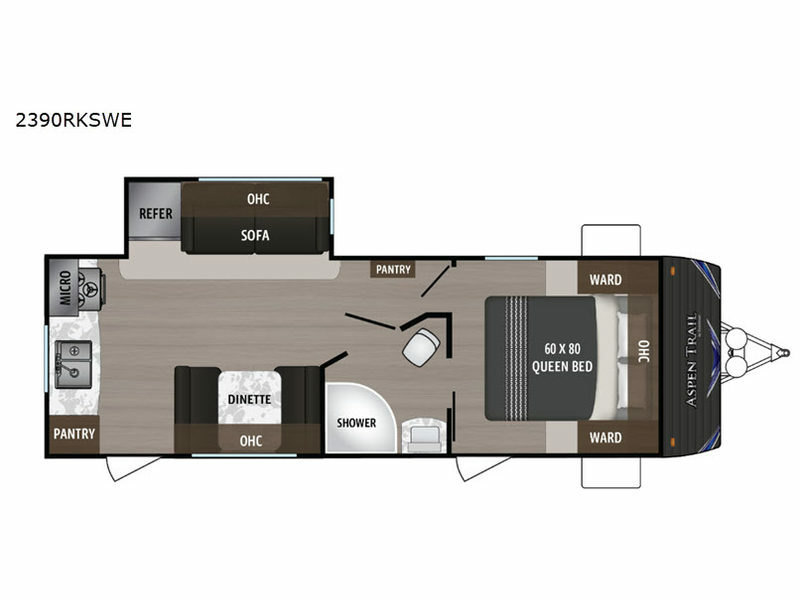 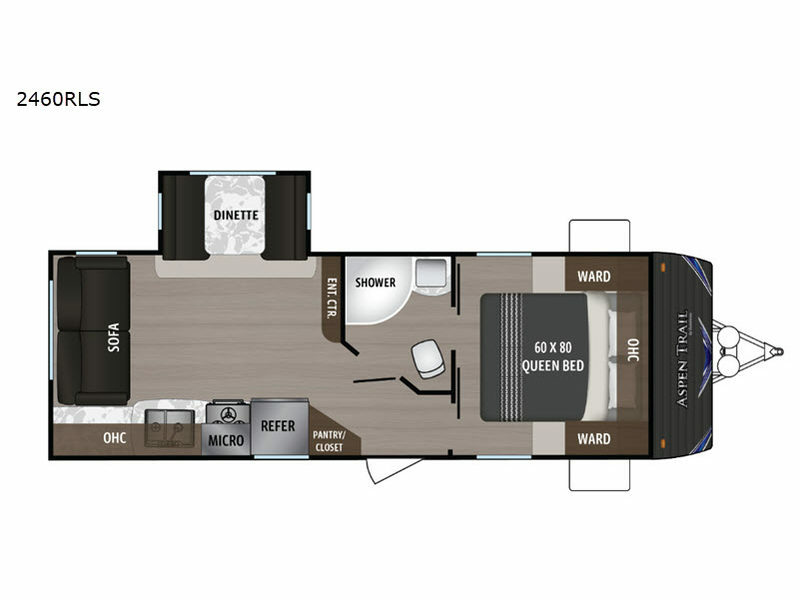 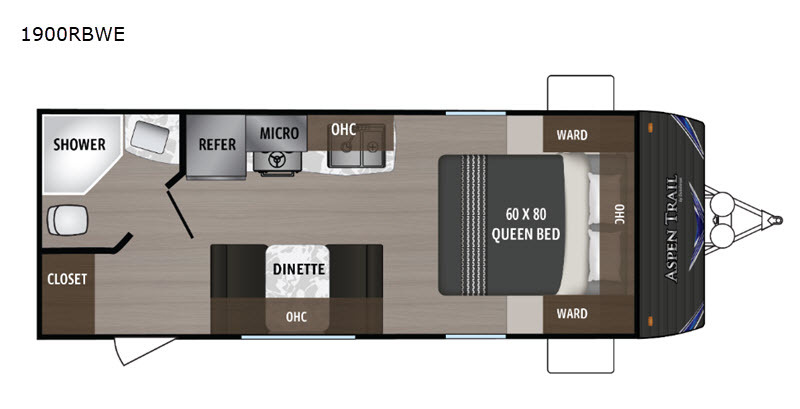 Available in floor plans ranging from 21' 5" to 39' 9", there is sure to be a perfect trailer for your family. 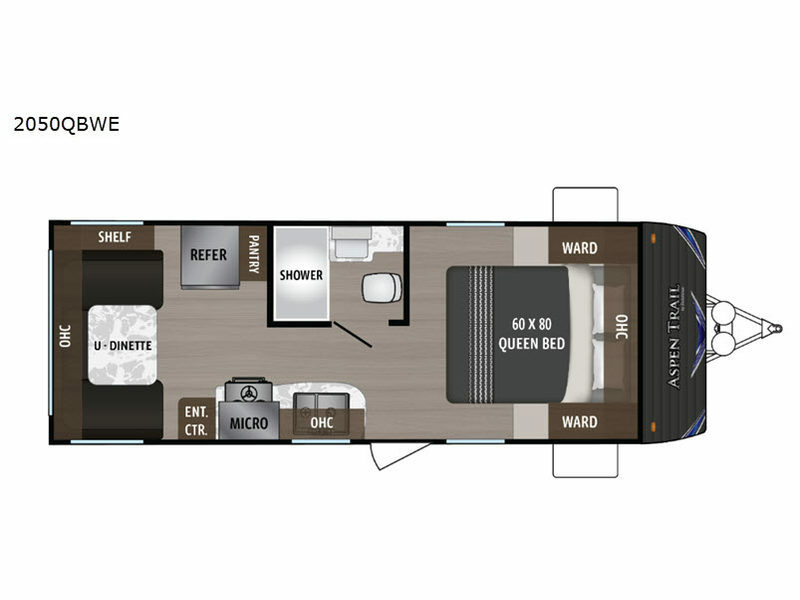 The Aspen Trail provides an aerodynamic front profile, diamond plate rock guard, large windows, and high ceilings. 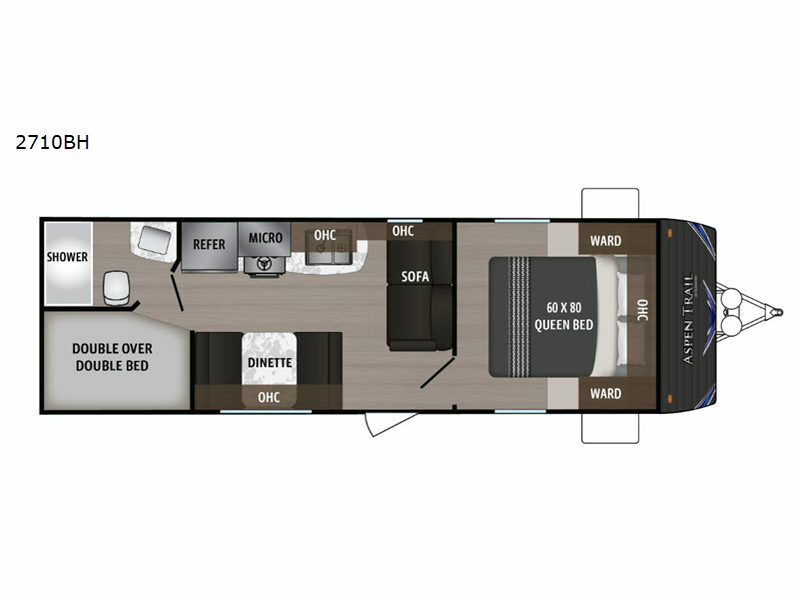 In fact, the Aspen Trail boasts an industry-leading ceiling height of 82", and it also includes a mega pass-through storage compartment and a heated and enclosed underbelly. 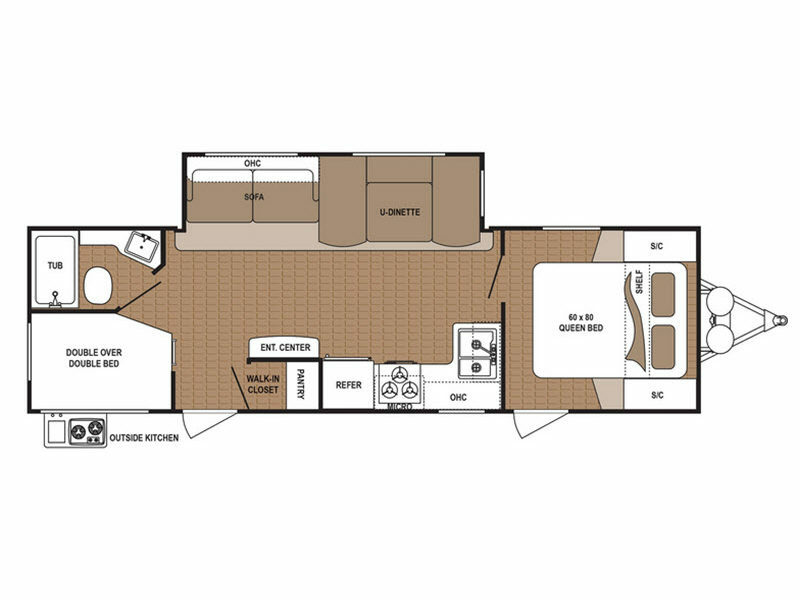 Any Dutchmen Aspen Trail travel trailer is your answer to a great family vacation. 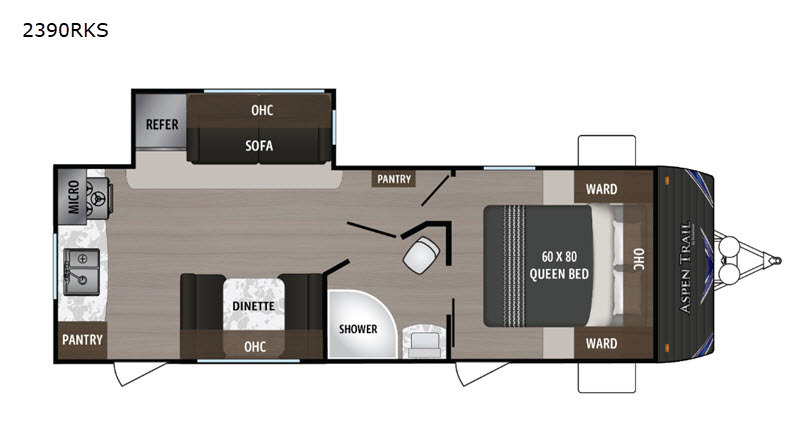 Come select your model today and take a little bit of at-home comfort with you on your next adventure! Dutchmen Manufacturing has a long history of innovations and market leadership that dates back to 1988. 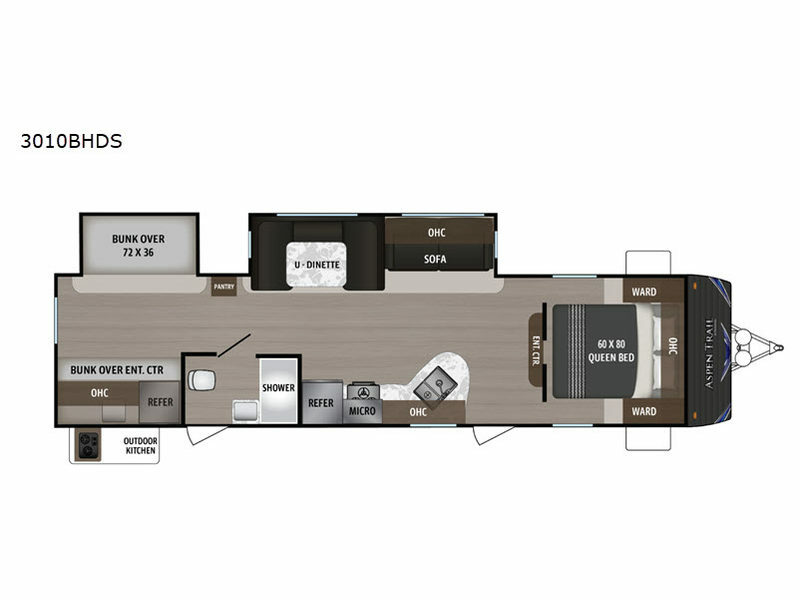 They were acquired by Thor Industries in 1991, and are now one of the largest brands of conventional and fifth wheel trailers in the world. 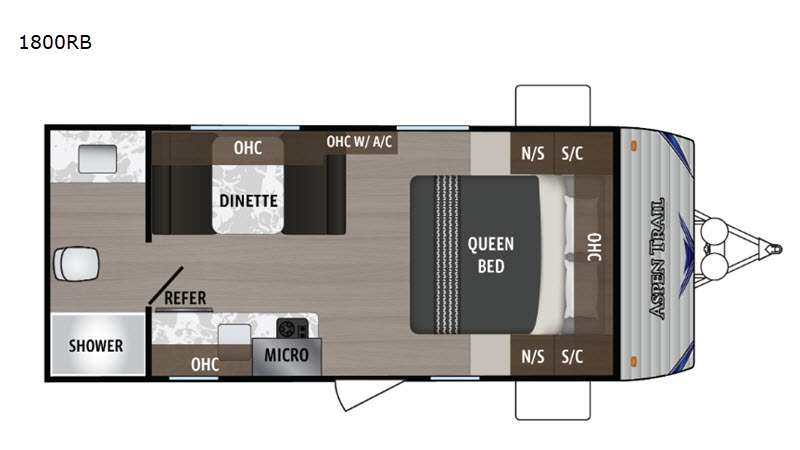 Dutchmen Mfg. 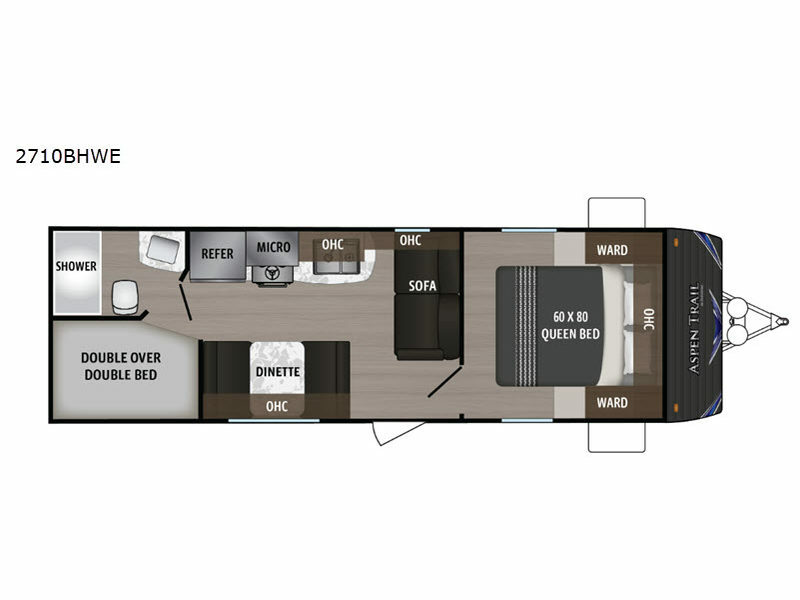 produces several widely recognized brands of recreational vehicles which include; Aerolite, Aspen Trail, Breckenridge, Coleman, Denali, Dutchmen, Infinity, Kodiak, Komfort, Razorback, Rubicon and Voltage. 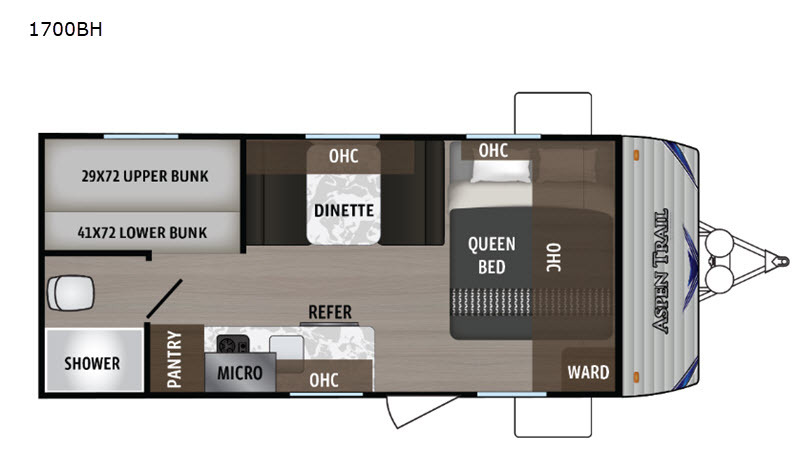 With any Dutchmen product you will find the latest innovation and quality built recreational vehicles that will make your travel time away from home the most enjoyable. 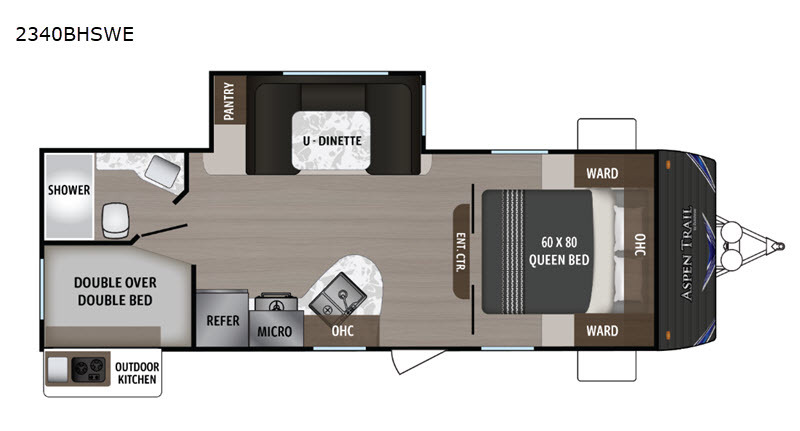 Dutchmen products include travel trailers, ultra lites, fifth wheels, toy haulers, destination trailers and park models.With Thor Industries financial strength and leadership in the Recreational Vehicle industry you can expect that Dutchmen Mfg. will be here providing the best products and service for years to come.